The texture and color of the garments are crucial for you to look smart. One thing with professional laundering is that they know every type of garment and how it should be cleaned. Have you ever laundered a cloth on find colored water? This is a sign that your garment is losing its color or fading. The reason could be the use of wrong cleaning solution. With professionals, they know what each fabric required to be cleaned without destroying its texture and color. It will be annoying and find that your clothes are fading so quickly and losing thing texture just because you don’t know how to clean them. One thing that destroys the quality of clothes is poor laundry cleaning practices. Some people will use hot water where it is not necessary. Others will use bleaching agents on garments that should free of such agents. This is what makes the cloth to lose its quality. If you have no idea on how to clean clothes, it will be for your good to let the professional do the job. These are experts who are experienced to know what each and every fabric requires to maintain its quality. Truth be told, you cannot do laundry better that a professional. Their clothes are properly cleaned to look as good as new. If you can compare the cloth that you have cleaned and those that have been cleaned by a professional, the difference is like black and white. If you want to look smart for an occasion or if you are in the corporate world, having the clothes cleaned by professional is one of the best ways through to look smart. 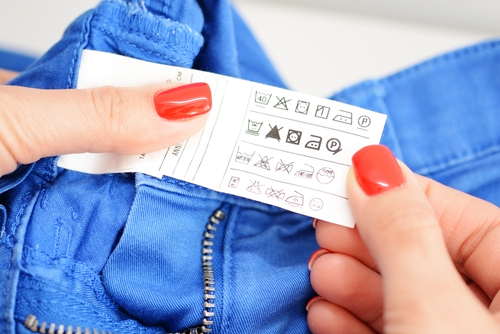 They will ensure that you clothes quality is maintained both in texture and color. This way, you can look sharp always. Nothing works the best than working with a person who knows their job well. Dealing with these professionals gives you nothing but top quality service. They have been in this service delivery for a long time, and their experience is incredible. They are not testing their skills on your clothes, and you can expect nothing but the best out of them. Their services are professionalized and top notch. Apart from top quality services, they will also give peace of mind knowing that your clothes will be clean always and at the same, they are in good hands. Shrinking is one of the common problems with clothes as they age. The situation can also be attributed to poor laundering practices. Shrinking is common in people who do laundering by themselves or those who trust new cleaners in the town. The most annoying thing about shrinking is that the cloth becomes smaller and smaller with time. This problem can be prevented by hiring the services of a professional laundry cleaning service provider. They have the laundering tricks that ensures that your garment is protected from shrinking. This will make sure that your fabric serves you for a longer time. It cannot be disputed that poor laundering cleaning is one the reasons our clothes have a very short lifespan. It can be attributed to fading, loss of texture and even shrinking. But you can extend the lifetime of your laundry by having them cleaned professionally. Let the experts handle them the best way they know how. Their job is to ensure that your laundry is in good shape as it was new. Also, note that some of the service providers provide repair services to their customers. How long will you take to clean your laundry properly? The fact remains that laundry cleaning can take several hours depending on how many clothes you are cleaning. It is a time-consuming activity that will need you to stop everything else. But is it worth your time? If you are a busy person, it will be more economical to pay someone to do the job. You can then use this time in doing other productive activities. The cost of laundry cleaning is insignificant considering what you can do with the saved time. The speed at which a professional laundry cleaner will do the laundry is much faster that when you are doing it yourself. 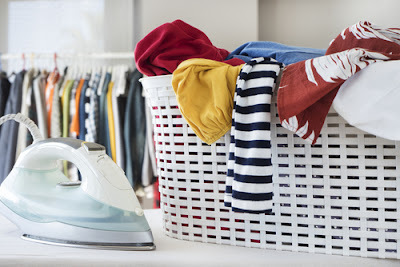 If you have a huge load laundry that you would want to be cleaned within the shortest time possible, then I would advise you to try a professional laundry cleaner. With their experience and equipment, it will only be a matter of hours or minutes to have the entire mountain of laundry cleared. Just drop your clothes and come for them on the agreed time. You may not realize it, but moths and other insects are notorious for damaging clothes. If you clothes are infested with these insects, they will destroy it completely. One of the benefits of using professional laundry cleaning services is that they will treat your garments to prevent attacks from such insects. There are different methods of cloth treatment, but mothproof is the most popular chemical. These chemicals are odorless, and you will rarely smell them. The treatment will not keep the fabric free from moths but will also help to extend its lifespan. The benefits of hiring professional laundering services are numerous. These are just but a few of them. It is not just about delivering clean clothes, there are plenty of advantages such as treatment, maintaining quality and color and many other. Regular laundering will also save you plenty of money and time. These professional have the equipment and experience to help clean any fabric and remove even the most notorious stain.